I hope you have a lot of spoons for this recipe because you will need em. I kept “testing” this peanut butter after I had made it as if I couldn’t tell from the first taste that it was delicious. The good news is I have way more spoons than I thought. 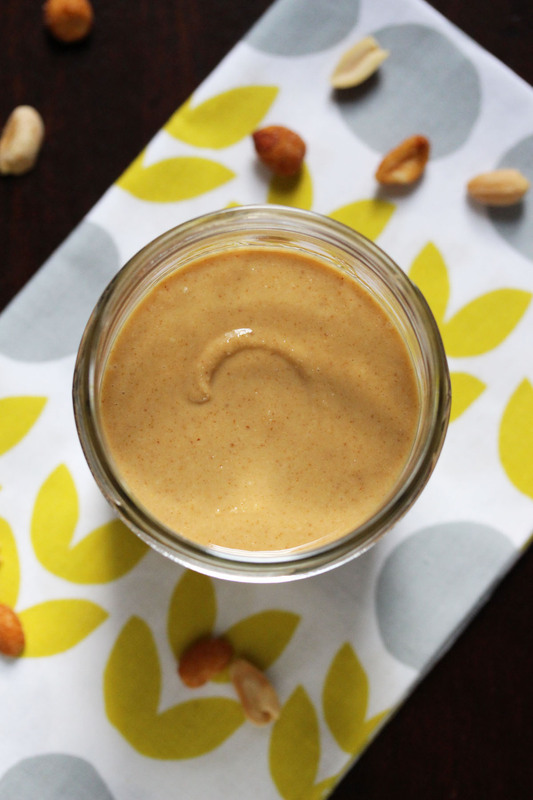 I have made homemade peanut butter a few times before but never blogged about it. So now I am finally sharing with you just how easy and tasty making your own homemade peanut butter is. Two cups of peanuts an just under 10 minutes is all it takes! No extra sugar, salt, or oil here, nope – just deliciously spreadable peanutty peanut buttery goodness! You’ll never buy another jar again! By the way- throw a tablespoon of this peanut butter into a Chocolate Banana Smoothie – it’s incredible! 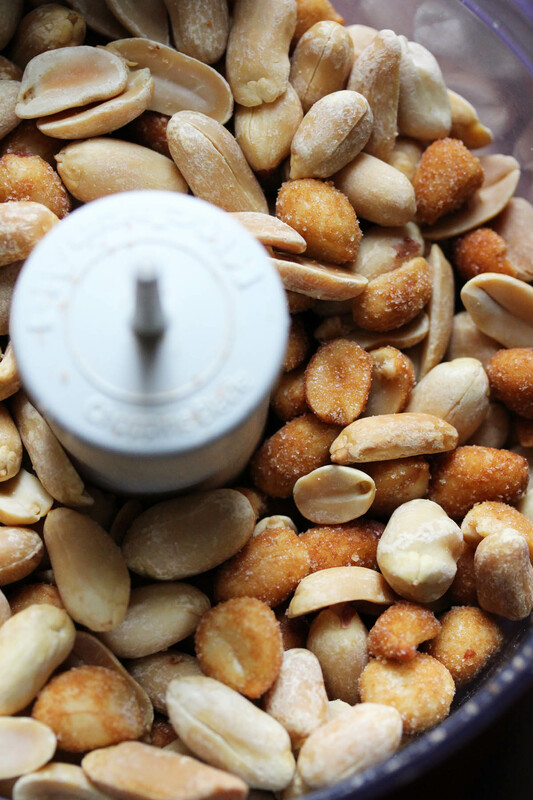 Place the peanuts into the bowl of the food processor. Process until creamy and smooth. About 5 minutes, stopping to scrape down the sides of the bowl as needed. Transfer the peanut butter to a glass jar or air tight container and store in the refrigerator for up to 2 weeks.